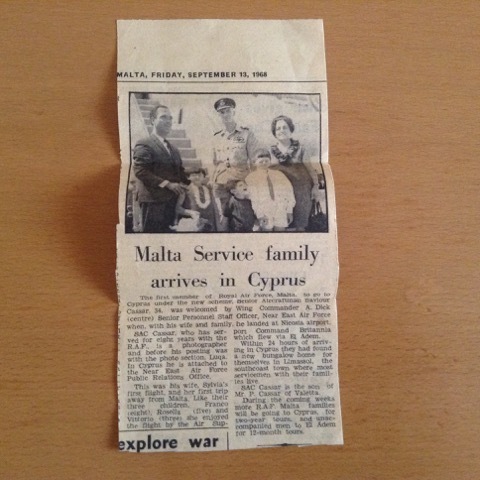 Sent to me by Tom 'Taff' McCarthy who is now living in Malta. 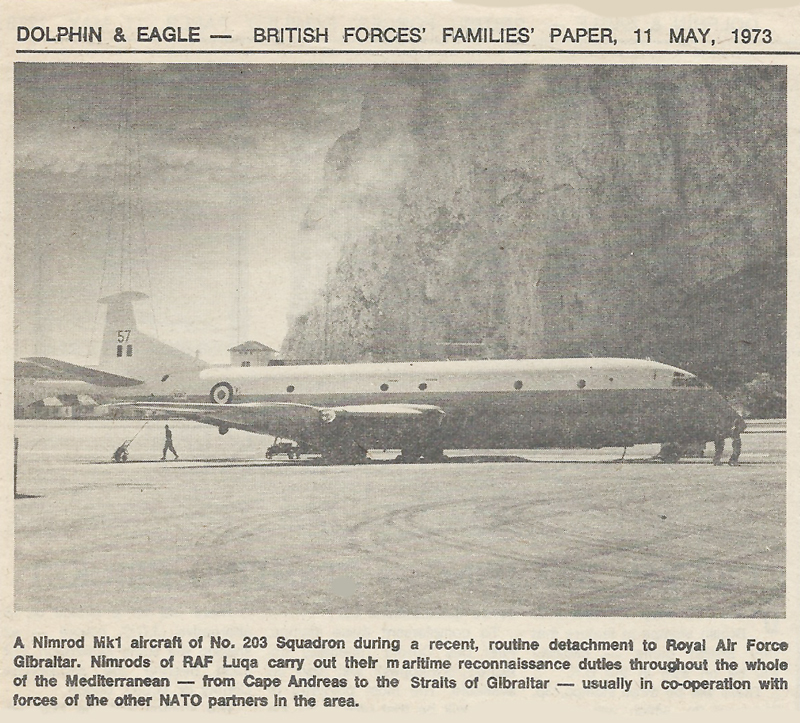 The Royal Air Force Sub Aqua Club Malta presented the stem of a Roman anchor to Capt. Z. Zammit, Director of the National Museum at Marsaxlokk. The RAF divers found the anchor stock made of lead, about half a mile out to sea from Delimara Point. 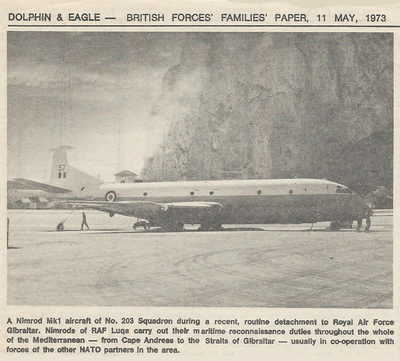 It was on a reef in about 100ft of water. The anchor was found by Sergeant T. Pike of Honiton, Devon and Corporal E. Mallison of Burnley, Lancashire. 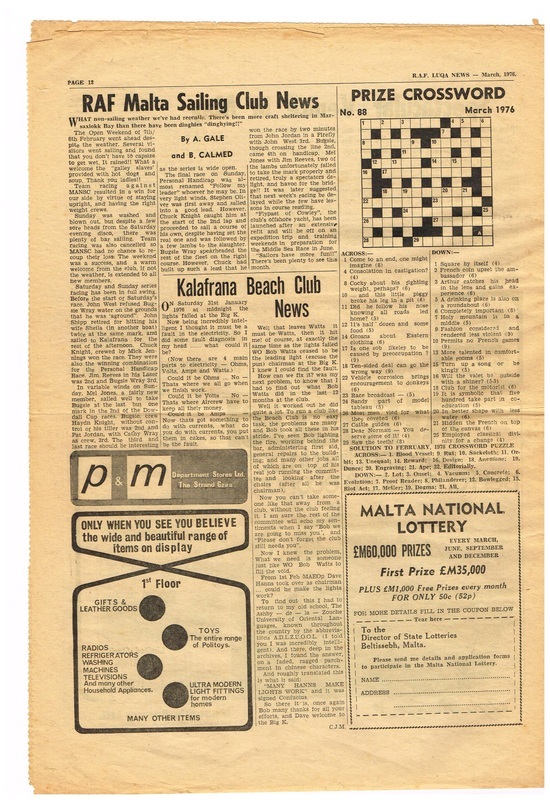 Having found the anchor, the divers searched the vicinity for the remains of a possible shipwreck. 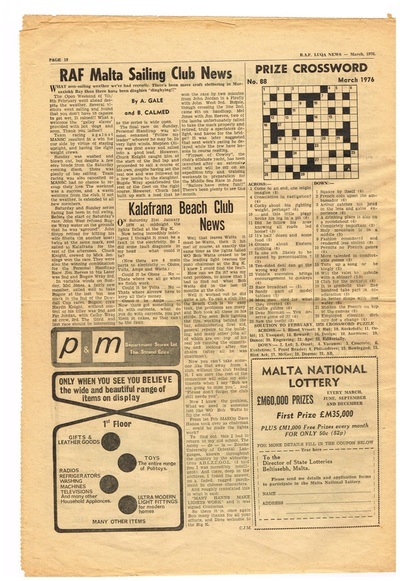 As none was found, it is presumed that the anchor was lost during a storm. 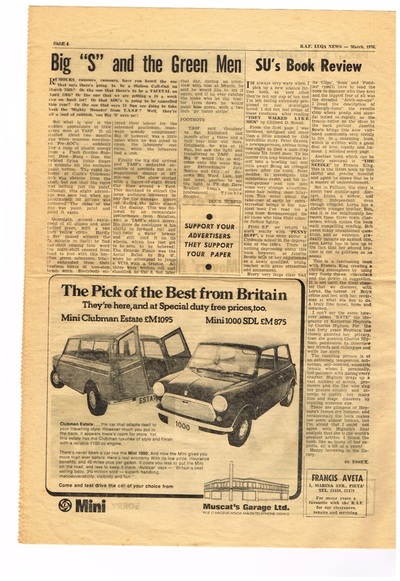 Colin Pomeroy sent in these cuttings. 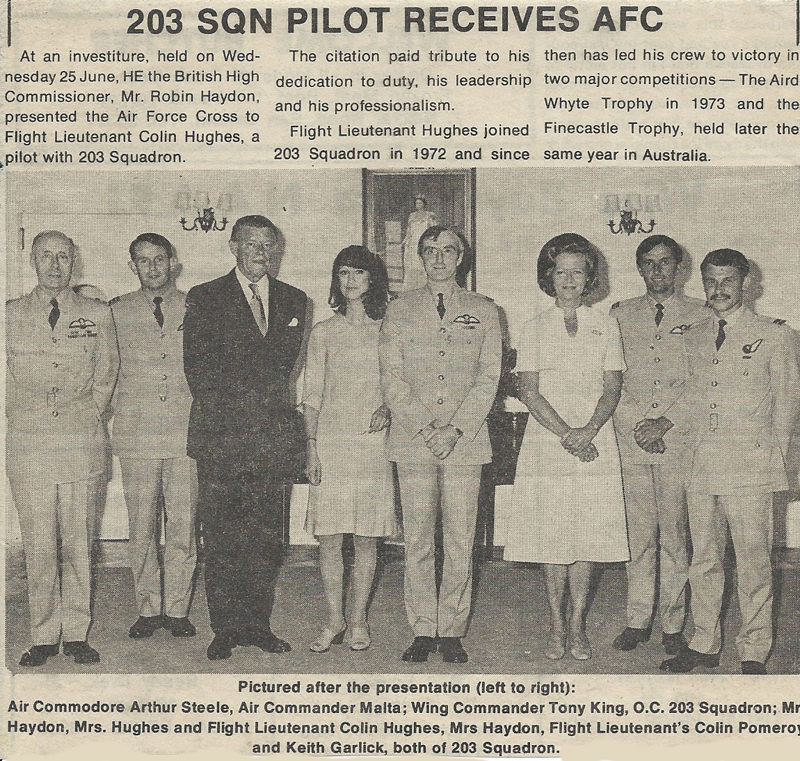 Faces to names in some of them and all pertinent to 203 Squadron. 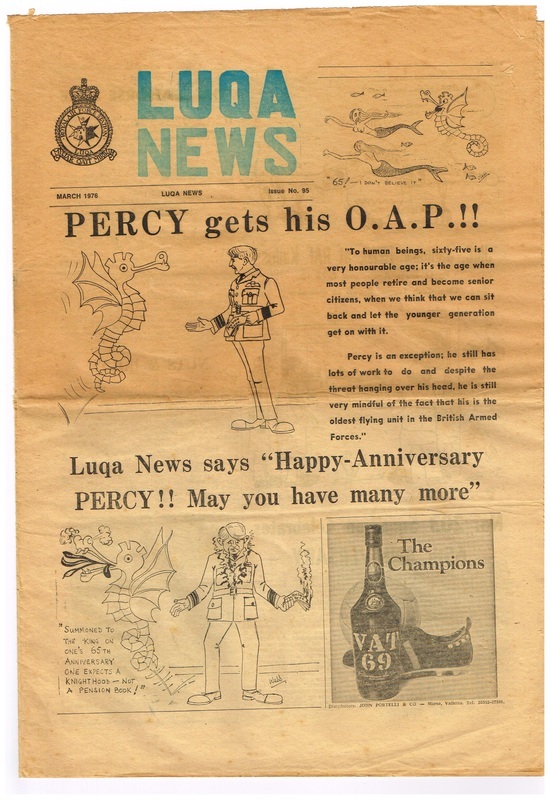 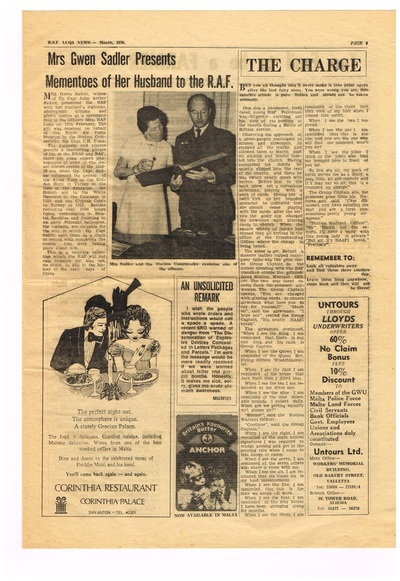 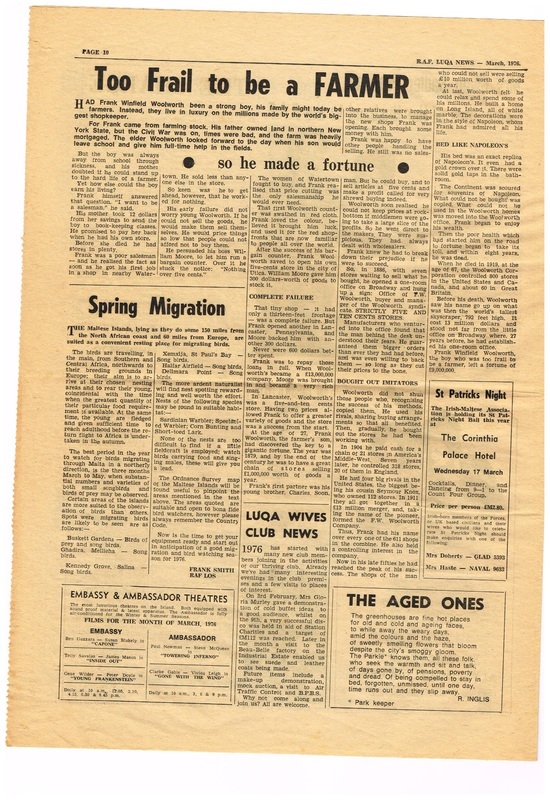 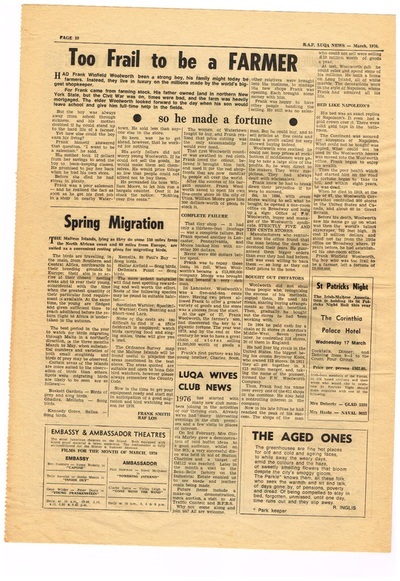 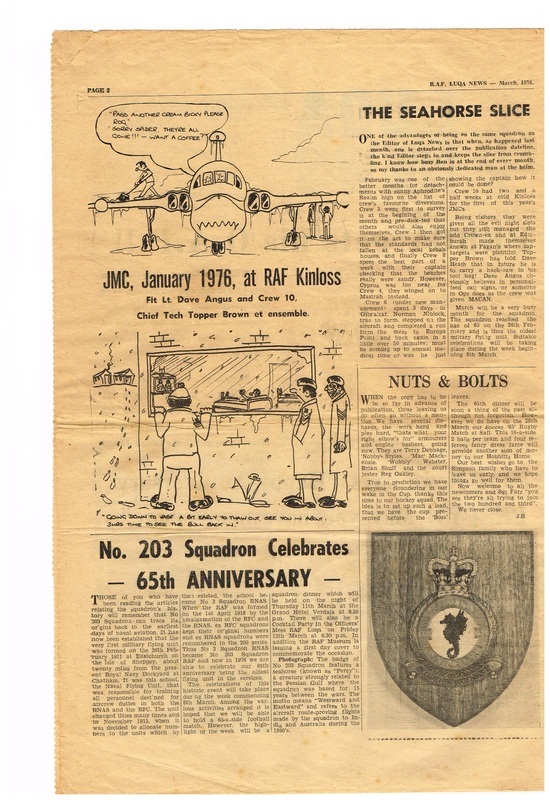 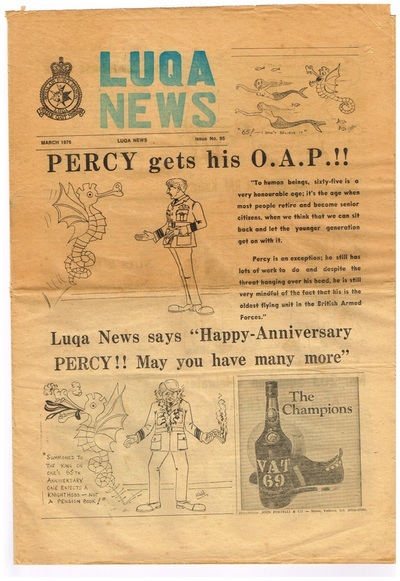 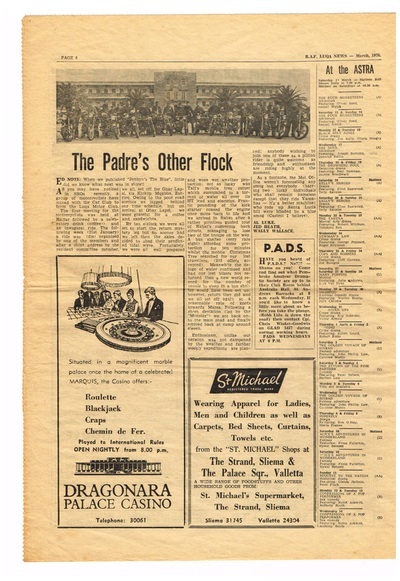 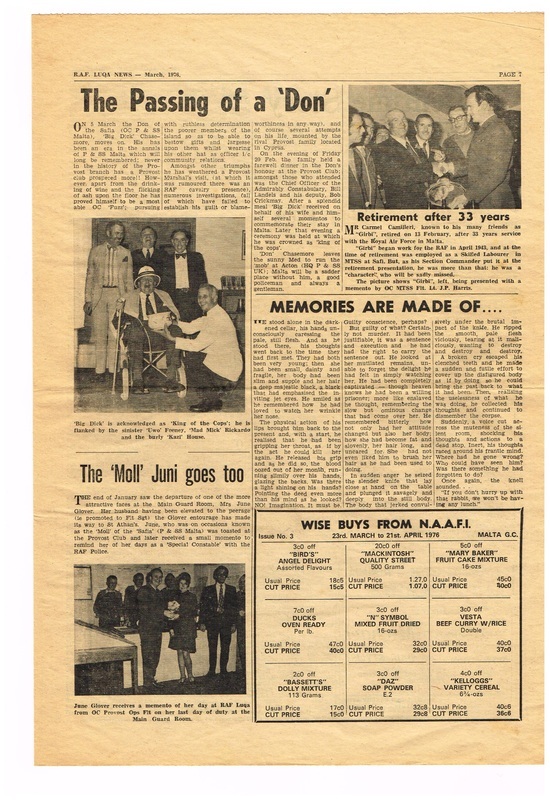 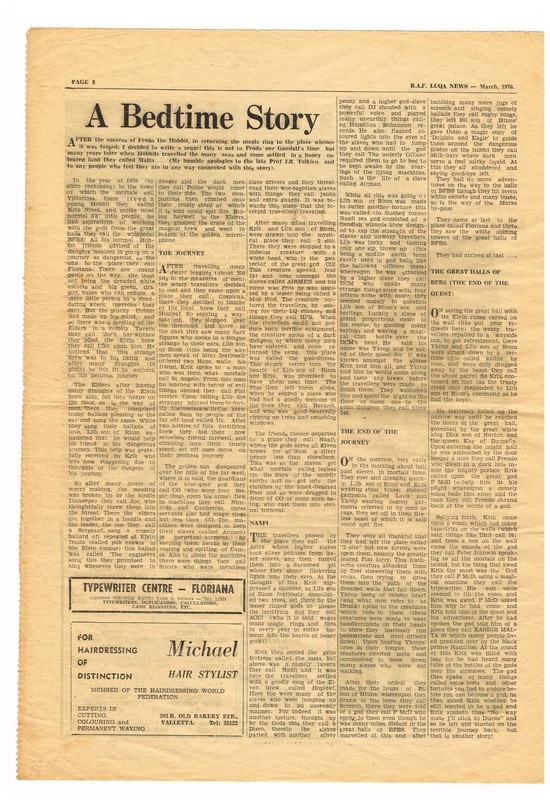 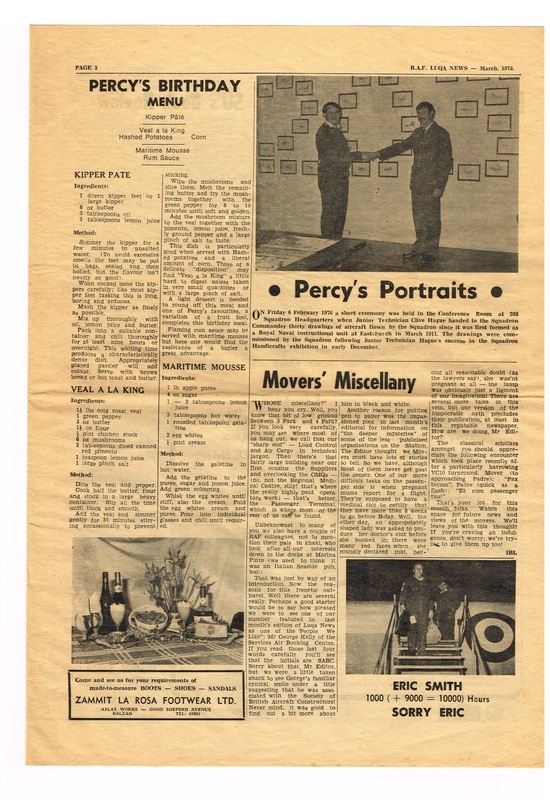 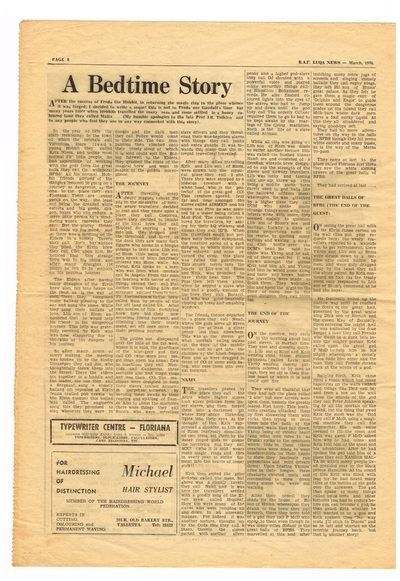 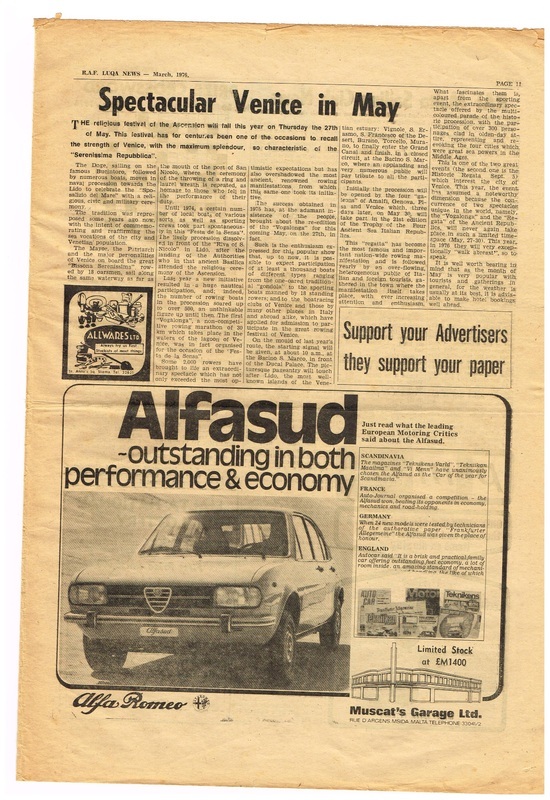 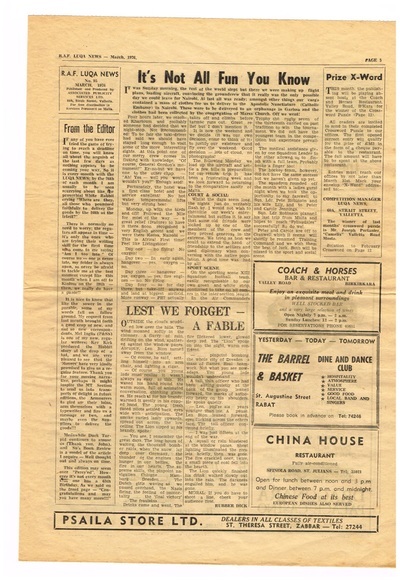 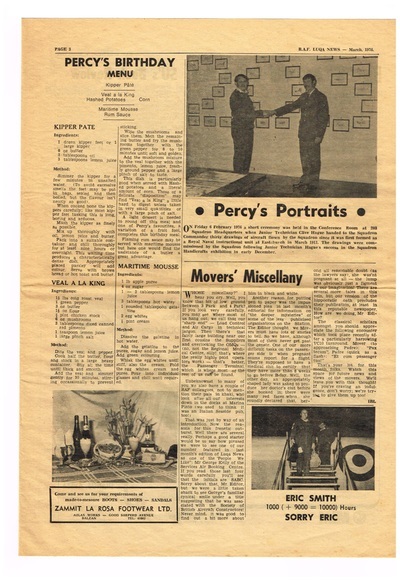 Publishing the Luqa News, Issue 95 from March 1976, with many thanks to Paul Brennan for scanning and sending for the RAF Luqa Remembered website. 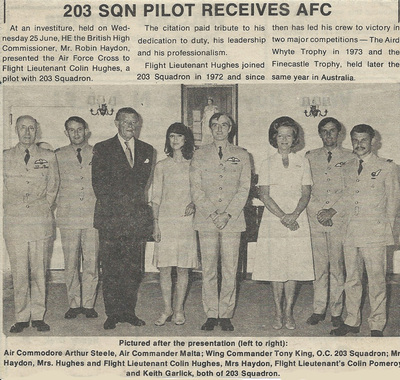 Paul was a crew member on 203 Squadron and is a member of 203 Squadron Yahoo group.